Ave Secretan is a part of Elevation Polish's upcoming Buttes-Chaumont collection, set to be released in February. I applied two coats of Ave Secretan and 1 layer of topcoat. This lovely and vivid cherry pink polish has a creme formula but dries to very shiny jelly-like finish. In actuality, the polish appears more pink and less red than is shown in my photos. 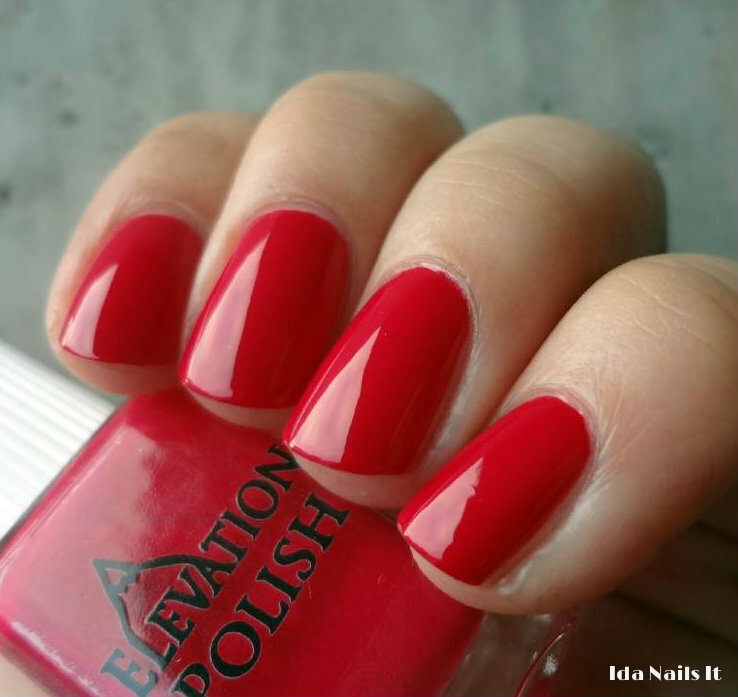 Formula is perfection but I would not expect anything else from Elevation Polish. Ave Secretan will be available within Elevation Polish's shop on February 7th. 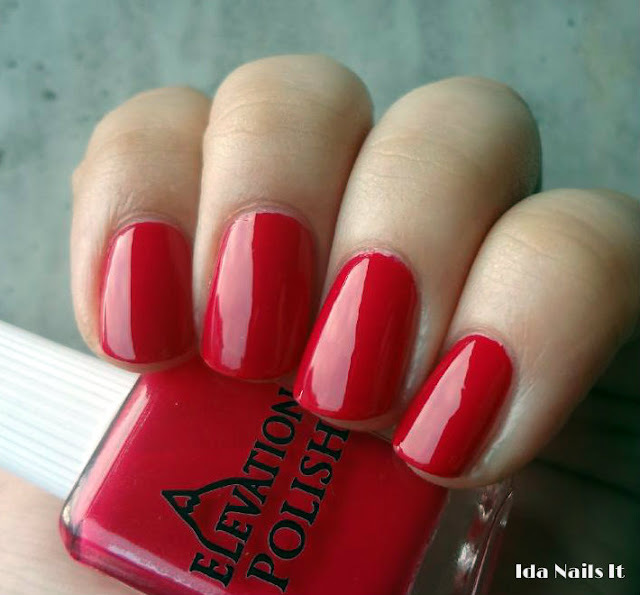 Updates on stocking, new colors, and all other Elevation Polish information can be found on Elevation Polish's blog.